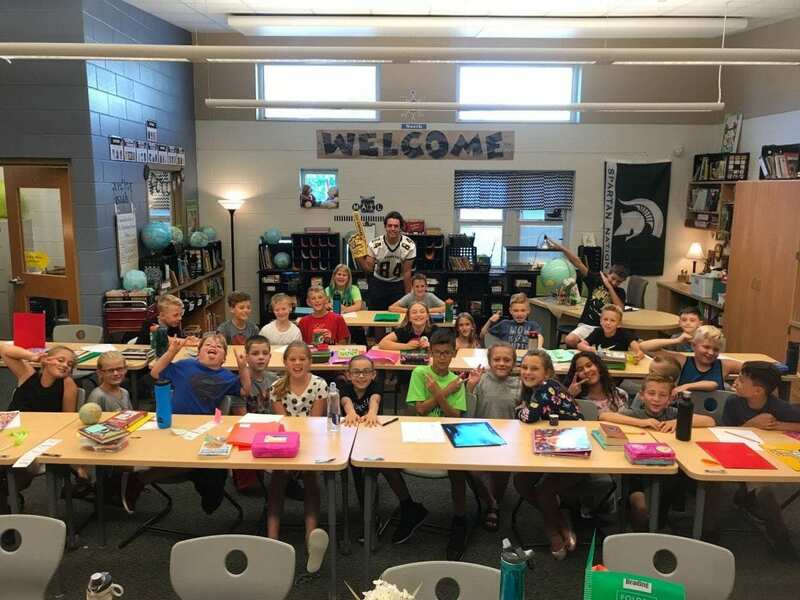 Senior football player, and former Georgetown student, Ryan Szlachcic, has chosen our classroom to be the place he would like to volunteer for the next couple months. He has also invited us to attend the football game on Friday, September 14, which I’ve learned is Youth Night. Any student in our classroom, who can attend the game, will be on the field before the game to cheer the team on. There will be MANY more details to come, but I wanted to let you know now so you can plan on this special event!